We wanted to have a fabulous, inspiring start to the new year, and decided that the perfect way to do just that, was to debut part one of our two-part editorial with Blush Bridal and Coco Events & Weddings. 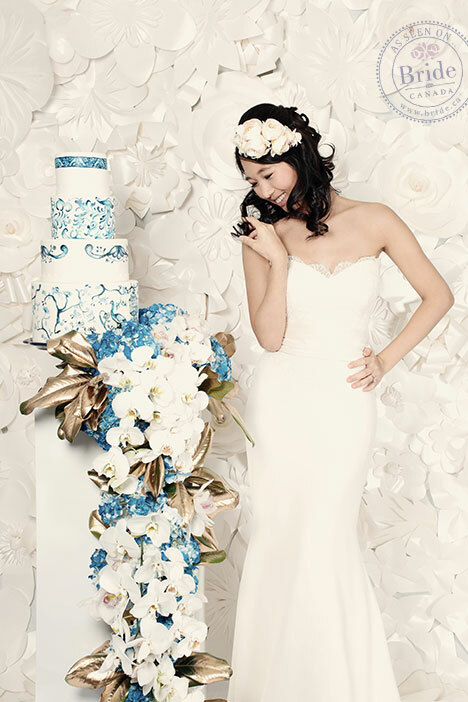 Joni Kim, of Charles Stuart International Models, is wearing the 'Sabia' gown by Soft by Rosa Clará. Rosa Clará and Soft by Rosa Clará are two new (& gorgeous!) bridal lines that Blush Bridal introduced to Vancouver brides this past year and here at Bride.Canada, we are thrilled to help Blush formally debut the lines. Based in Spain, Rosa Clará gowns standout for their high quality fabrics and precision tailoring. Best of all, Rosa Clará offers something for everyone; whether it be a soft and romantic lace dress, a vintage-inspired beaded sheath, or a refined and elegant ballgown. We hope you enjoy part one; be sure to click on the photos for larger views and full image credits! Leah, of Whistler-based Leah Kathryn Photography, was our behind-the-scenes photographer on set that day and captured this gorgeous photo. Megan Toriglia, of Toriglia & Co., did an amazing job of capturing the essence of Rosa Clará in this editorial and Sabia portrays femininity and playfulness perfectly; the delicate lace bodice adds a soft touch, while the wide pleated sash at the waist and soft trumpet skirt give this dress a defined, feminine shape. Aubrey Bonnah-Vink of Hair by Aubrey and Katie Elwood, of Katie Elwood Makeup Artistry expertly created two very different, yet captivating, looks for both parts of the editorial; this first look is feminine and playful, with a touch of whimsy. Joni Kim is wearing the 'Ulises' gown by Soft by Rosa Clará; a light-weight, beaded sheath that promises to shimmer and sparkle throughout every joyful moment of your wedding day. The ivory on ivory beading is delicate and soft, lending a feminine look to this vintage-inspired sheath. 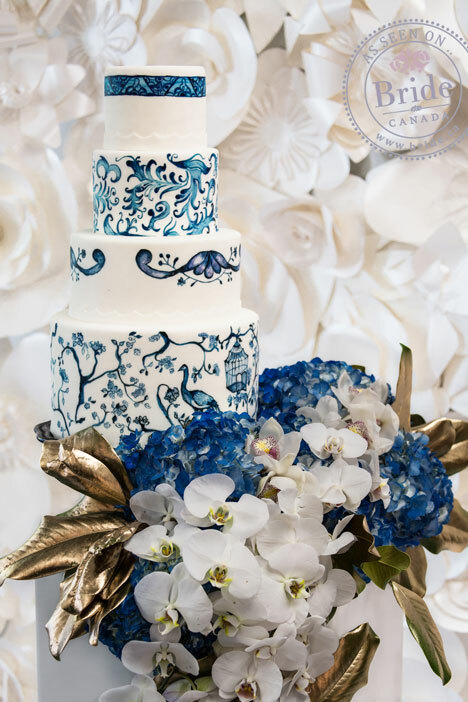 The intricate Asian motif on the wedding cake was expertly hand-painted by Cake by Annie. Evan, of Flowerz, brought his creative talents to the floral design; we love his use of the gold leaves, which stand out so beautifully against the white orchids and the lustre of the paper floral wall. A bold pink lip stands out beautifully against soft blush cheeks and a subtle eye. Evan, of Flowerz, created Joni Kim's hairpiece, incorporating orchids and crystals into the geometric piece. And so, now you can see why we've so fallen in love with Rosa Clará! Be sure to check out part-two, which shows the line in an entirely new light. You can see it here. We have some wonderful news for our Lower Mainland brides as well: Blush Bridal will be hosting their 2015 Rosa Clará & Soft by Rosa Clará Trunk Show, from January 30th to February 1st. Click here for details. Leah, of Leah Kathryn Photography, captured some fantastic behind-the-scenes shots: click on the thumbnails to see more.